What would it be like when a robot serves beer to you, depending on your needs and taste? Well, it is possible now with new Kegdroid, an advanced technology based beer dispenser developed by Paul Carff. Paul Carff , a senior developer at Google along with David Sainte Claire, a software engineer has come up with a tool to dispense beer. 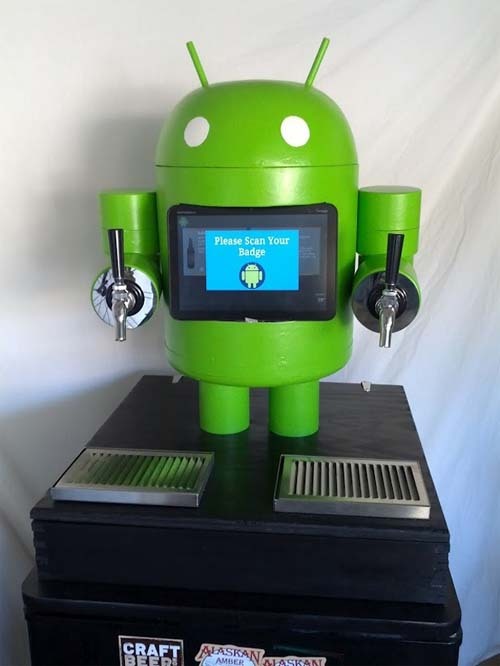 KegDroid is a beer dispensing robot powered by Android ICS and looks like an Android Robot. Both the Google employees took a Motorola Xoom tablet and linked it with a beer dispensing robot that looks similar to Android. They then linked it in accordance with NFC integration to make a new breed called KegDroid. 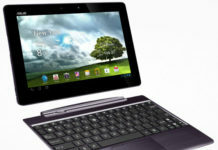 The Motorola Xoom tablet runs on the latest version of Android OS, Ice Cream Sandwich. The touch display of this version of Android allows the users to choose the beers of their choice and taste. 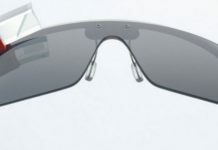 It looks almost like Android Robot with a big touch screen making it very attractive. It only works after authorizing the user which is checked by NFC interface scanner over the table – a user is given with a badge to use it. You just have to scan the badge over it to pass the scan and it will show the username on top of the screen. 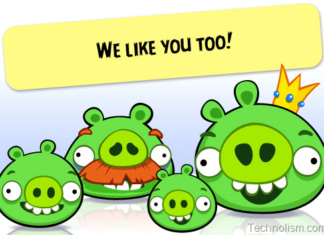 Each badge is given with special Google+ identification. 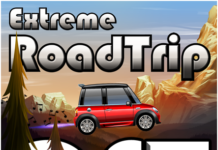 There are several types of options which can be seen on the main menu screen, the right side of screen shows the “select your beer” option where you can select the type of beer according to the brand and type. Each beer is given a rating out of 5 stars and classified into categories of alcohol rate, brands and taste. After selecting the beer, users need to choose the quantity of beer they want by selecting 1 Oz, 8 Oz to 12 Oz and then press the “pour” option. Flow sensors and solenoid valves control the flow of beer and are connected to the Motorola Xoom and NFC integration software and hardware. The operation of flow is still not the perfect but is not bad either. This beer dispenser will take care that no one else drinks beer from Kegdroid without your permission as it will accept only authorized badges. The KegDroid also shows the temperature of its own on the bottom right corner and the speed of the pouring beer. It’ll be perfect for bars and offices, even beer lovers can have it installed in their homes. What do you think about this advance technology keg?